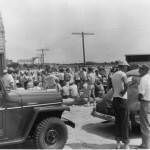 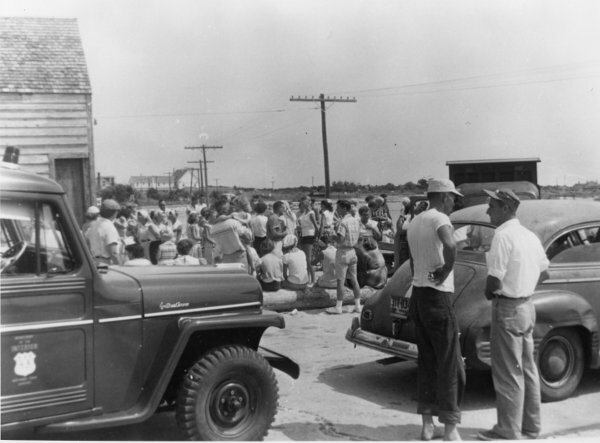 Getting to Ocracoke in the 1940s and early 1950s was an exciting adventure. 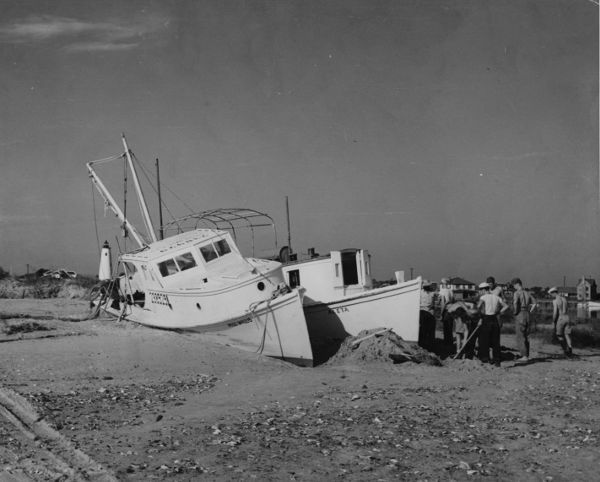 This was before the road to Hatteras was built, and before the state of North Carolina established their free state-run ferry system. 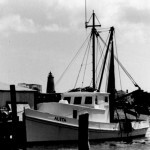 At that time Ocracoke’s main link to the mainland was a privately owned and operated mail boat, Aleta. 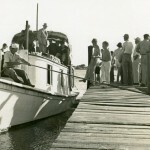 This stubby, 42 foot diesel powered boat made one daily round-trip between the island and Atlantic, North Carolina. 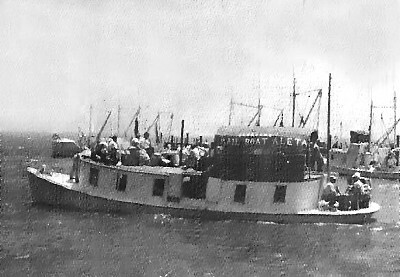 Not only did the Aleta carry mail and supplies for most of the stores on Ocracoke, she also carried passengers, as many as sixty at a time. 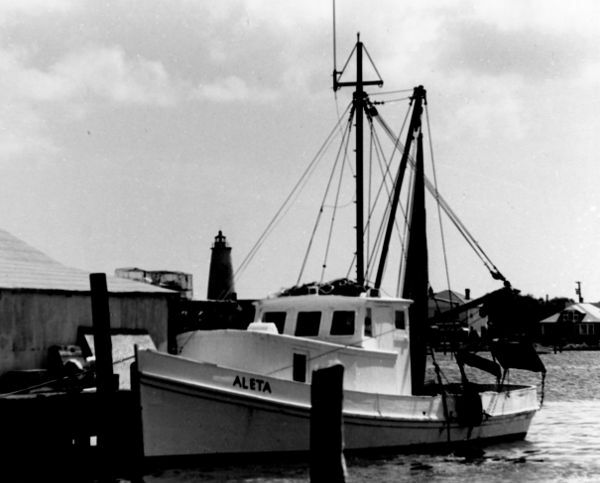 Travelling 8 to 10 mph, the Aleta left Ocracoke at 6:30 every morning and arrived back at her home port around 4:30 in the afternoon, where she docked at the end of the pier in front of the post office. 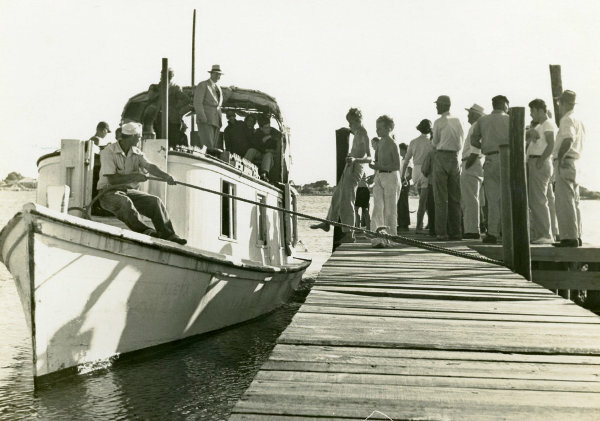 The marker on the map is placed near the old post office where Aleta docked. 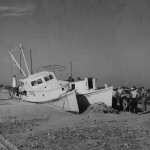 However, you can’t visit the actual site since it is now part of the Captain’s Landing motel and cottage.